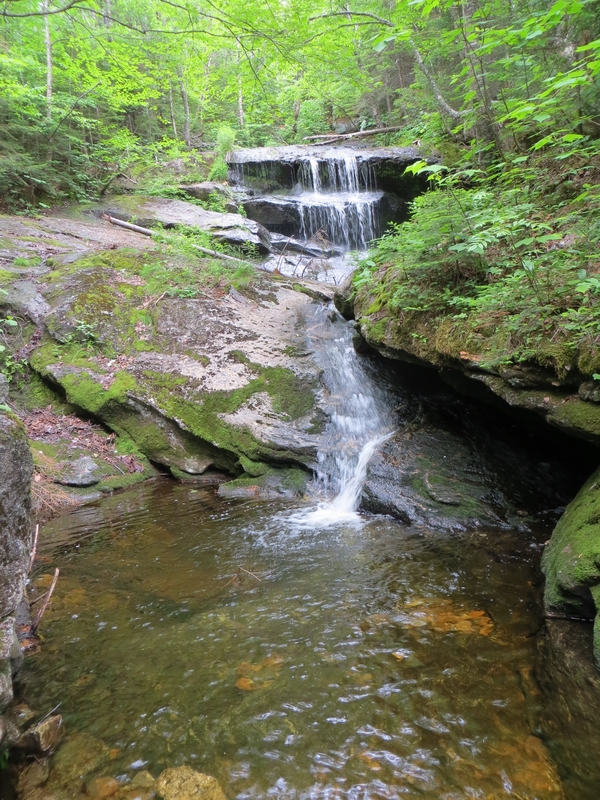 The Grafton Loop Trail offers a great taste of backpacking in Maine’s rugged mountains. Compared to the venerable trails just over the border in New Hampshire, the Grafton Loop is relatively new. 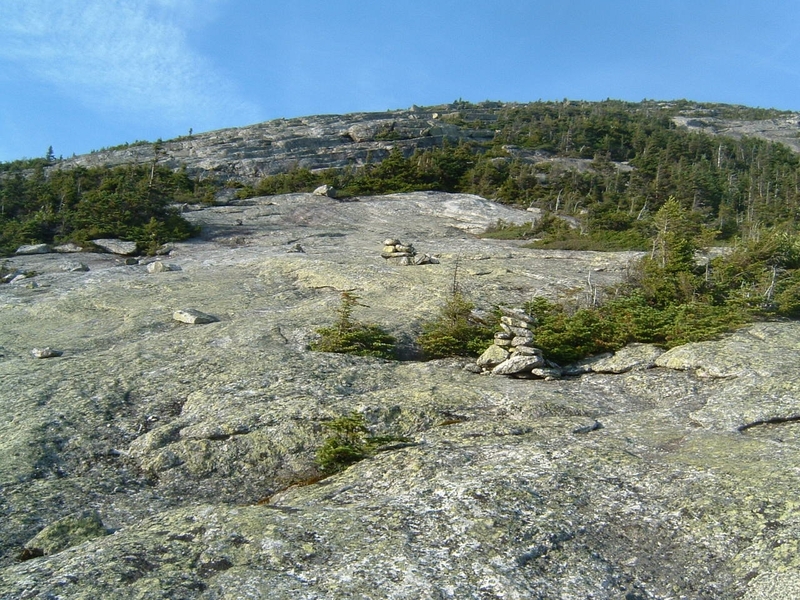 The full loop didn’t open until 2007 after a major collaboration between private land owners, the state of Maine, and several conservation groups, including the Appalachian Mountain Club (AMC) and the Maine Appalachian Trail Conference (MATC.) 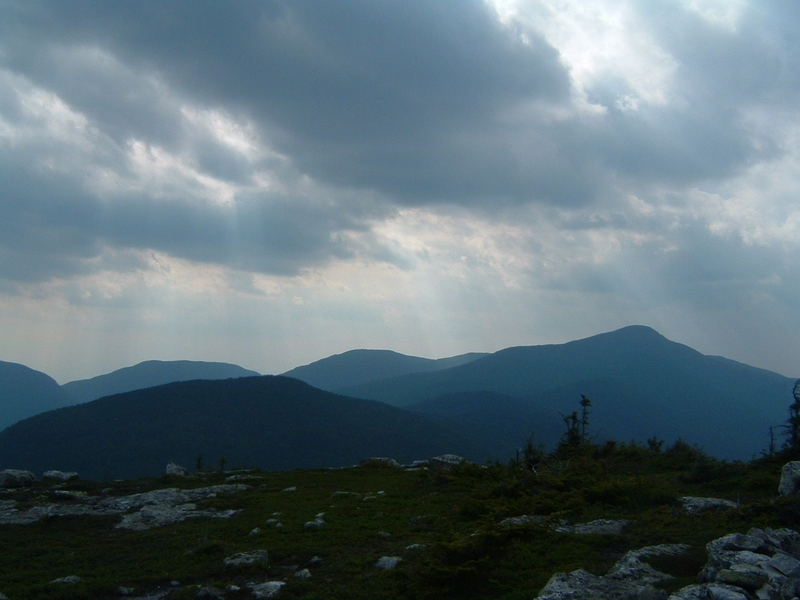 The new sections of trail are connected on the northern end by nearly eight miles of the AT between East Baldpate Mountain and Old Speck, creating one of New England’s best backpacking loops. The trail traverses strenuous terrain with substantial elevation changes. Elevations range from around 700 feet near the southern end of the trail, to 4,170 feet on the summit of Old Speck. The trail traverses over eight summits including several that are open and exposed. Ladders, rungs, exposed rock, stairs, and boardwalks add to the already difficult terrain. The AMC website offers a basic trail description with camping information here and a map here. The MATC also has basic trail information here. For detailed trail mileage and a map, the most recent edition of the Maine Mountain Guide by Carey Kish is a great resource that covers the entire trail. 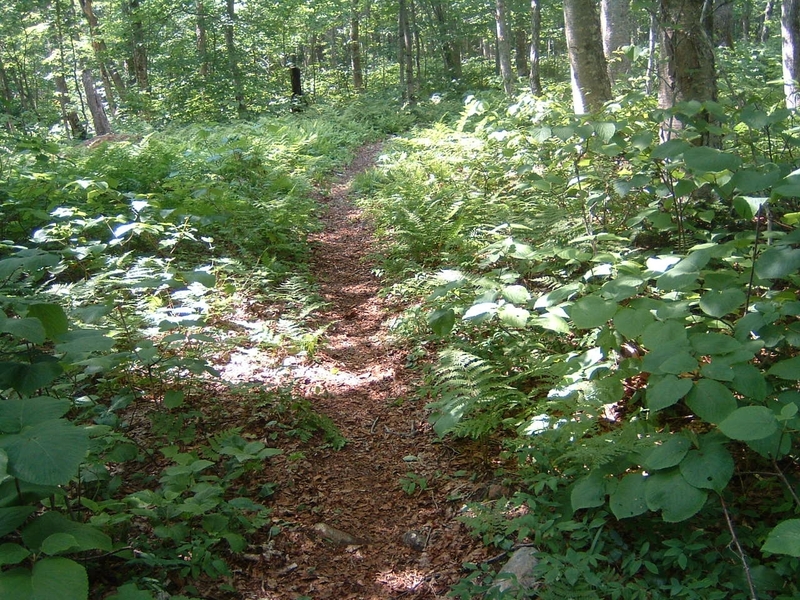 There are several side trails that can be added to the loop and the Maine Mountain Guide covers these trails in detail as well. Most of the route features blue blazes. The AT portion uses white blazes. Cairns mark the route over open summits. Use caution on the east side of the loop between Puzzle and Long Mountains, where vegetation obscures the trail in the vicinity of past logging operations. There are two trailheads that access the Grafton Loop Trail, one near the north end of the loop and one at the southern end. North: From the junction of US 2 and Maine 26 in Newry, head north on 26. A large parking area is on the left, 12.1 miles from the junction here. South: From the junction of US 2 and Maine 26 in Newry, head north on 26. A large parking area is on the right, 4.7 miles from the junction across from Eddy Road, here. Take note that the western portion of the trail is accessed .6 miles south of this trailhead via a road walk on 26. The Grafton Loop Trail allows backpackers to experience a multiday backpacking trip in fairly remote and rugged terrain. The loop was built with backpackers in mind. 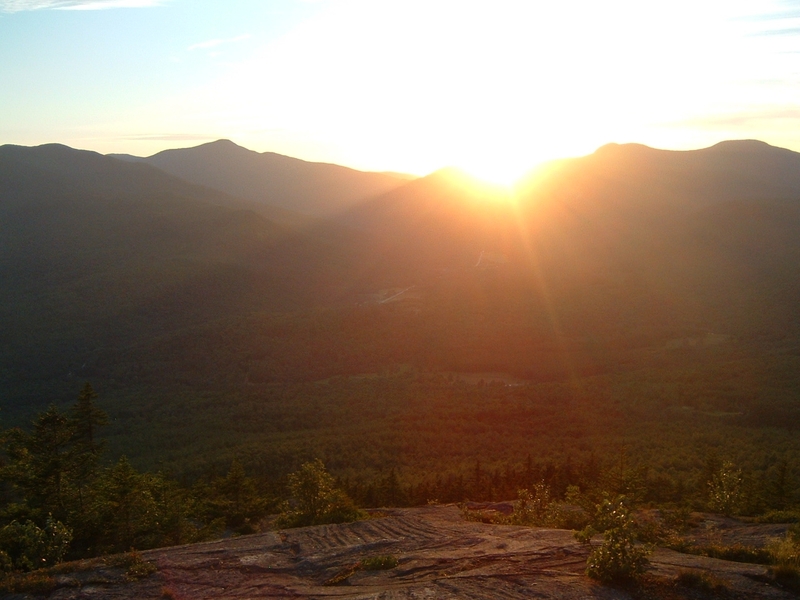 The trail spends most of its time in the forest, with a handful of open summits that offer classic Maine mountain views stretching all the way the Presidential Range in New Hampshire. Backpackers of all experience levels will find the the loop a worthy destination. Experienced hikers will appreciate the scenery and relative lack of traffic. Despite the challenging terrain, beginners will appreciate the obtainable distance and the nine campsites throughout the loop that allow for a casual pace if desired for those not looking to rush. While the ambitious, veteran backpacker could knock the loop out as an overnight trip, the layout of the trail allows those in less of a hurry to hike the route comfortably in three to five days. Sunday River White Cap: This 3,335-foot summit is a real gem that would be easily forgotten if not for the Grafton Loop Trail. The open summit offers 360 degree views and is arguably the best vista on the loop. 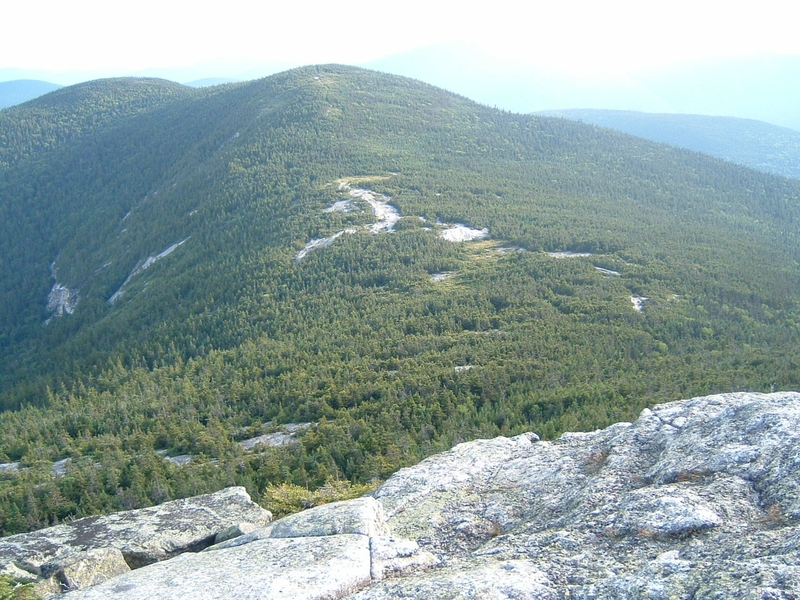 Most of the loop’s route can be seen from the summit, including Old Speck, Grafton Notch, the Baldpates, and nearly all of the eastern half of the loop. The trail hikes over open rock with wooden planks traversing fragile alpine vegetation. 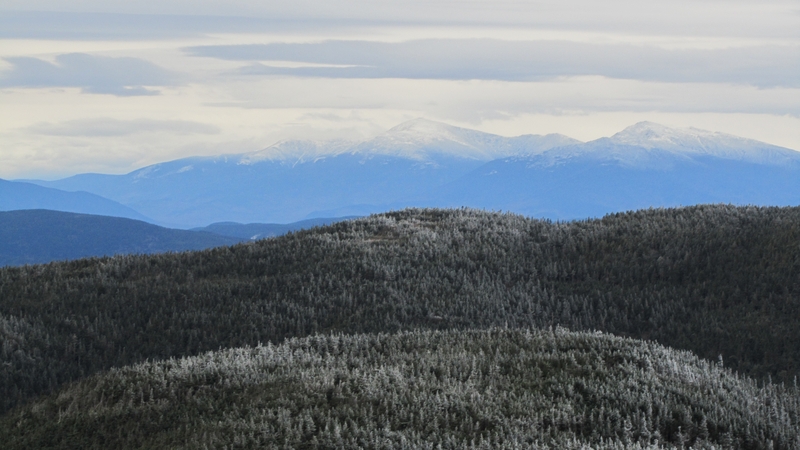 The summit has a viewing area that takes in much of the Mahoosuc Range and stretches toward the Presidential Range on the horizon. There is also a direct view of Sunday River Ski Area. East Baldpate Mountain: East Baldpate gives Sunday River White Cap a run for its money as the best view on the loop. 3,812 foot East Baldpate sits near the northern end where the eastern half of the loop intersects the AT. 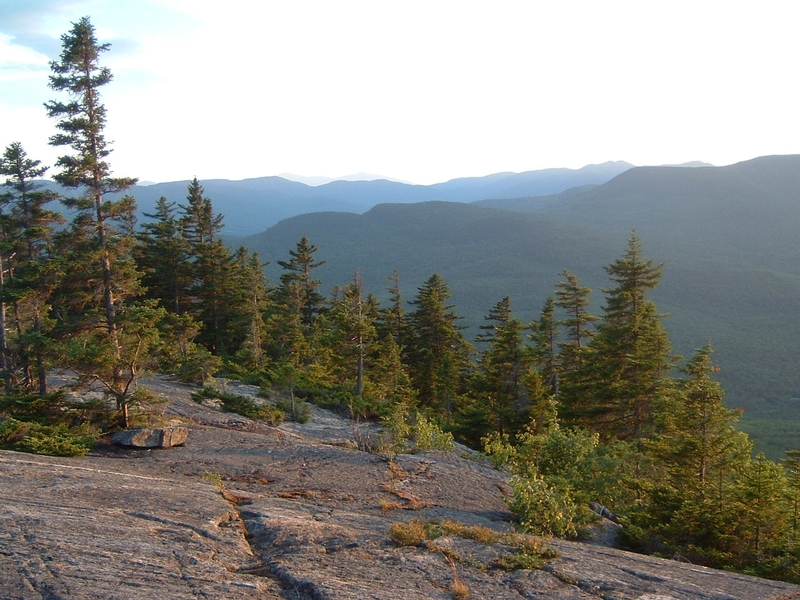 East Baldpate is another open summit with fantastic views. The terrain below the summit is just as impressive. 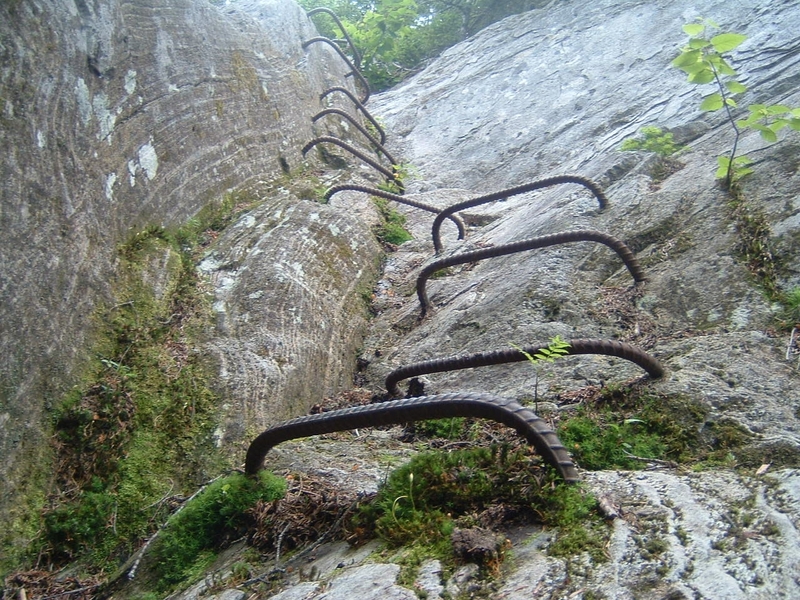 Heading south from the summit, steel rungs built into the rock are needed to traverse steep cliffs. A beautiful, high meadow sits between the East and West Peaks that is traversed on bog bridges. The trail crosses lengthy stretches of open rock marked with cairns. Ladders aid hikers over rocky drops. 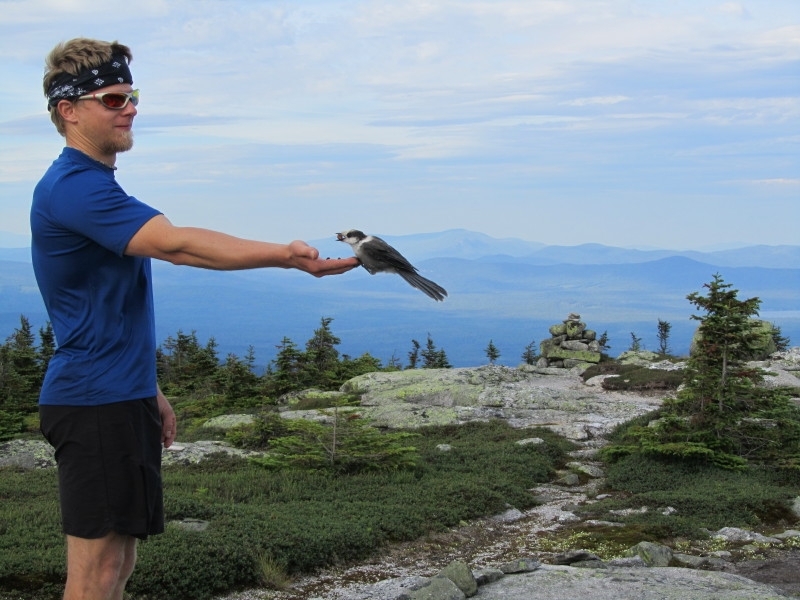 As an added bonus, gray jays frequently greet hikers that linger long enough near the summit. 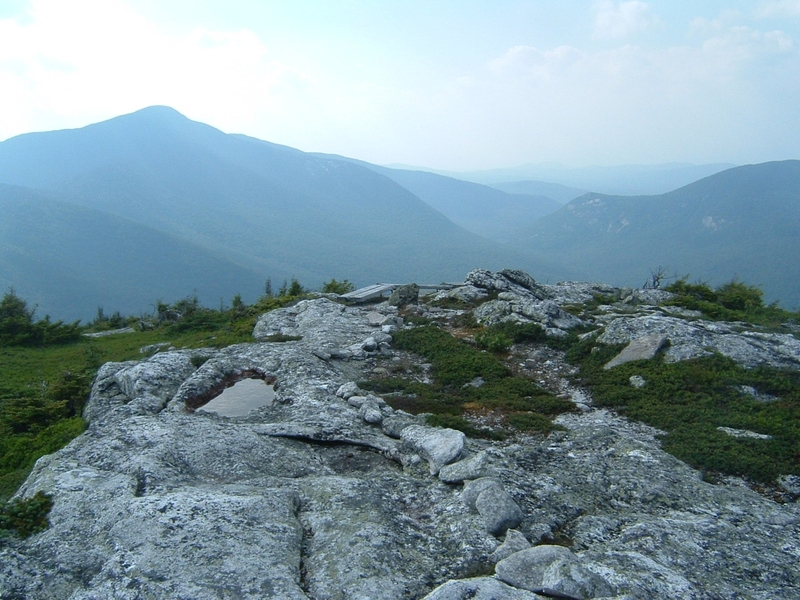 Old Speck Mountain: At 4,170 feet, Old Speck is the highest summit on the Grafton Loop and the fifth highest peak in Maine. The summit by itself isn’t too impressive. However, an observation tower stands on its summit. For those not deterred by heights, the tower can be climbed. Those who make the climb are greeted with stunning 360-degree views from the lofty perch. The vantage point offers an interesting look toward Mahoosuc Notch, a short distance from the summit. 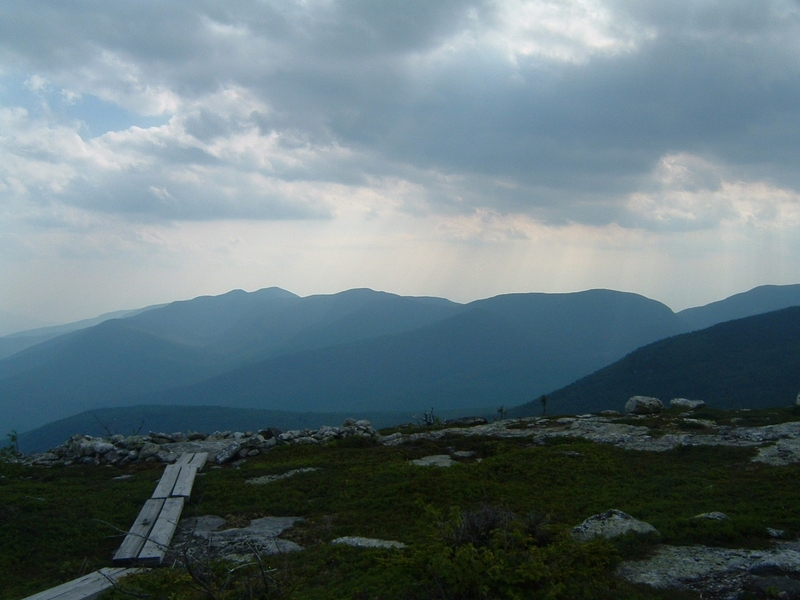 The views stretch down the Mahoosuc Range into the Presidentials. Endless peaks can be seen in every direction. Puzzle Mountain: Puzzle Mountain, sitting near the southern end at 3,142 feet, is another peak that would probably be forgotten if not for the Grafton Loop. The trail passes by the summit of Puzzle Mountain and follows numerous open sections with fine views. For those looking to expand on their Grafton Loop experience, the 1.8-mile Woodsum Spur Trail follows the open ledges of Puzzle Mountain before rejoining the loop. Wildlife: The Grafton Loop Trail travels through moose country. The best opportunities for moose seem to be on the private land between Puzzle Mountain and Long Mountain, where logging has occurred. I saw a large bull in this section and a smaller cow. Gray jays also frequent the area. I experienced them on East Baldpate and just below Old Speck. For those that haven’t experienced gray jays, they will linger near hikers and take food from your hand. Bears also make this area home. Several of the campsites offer bear boxes for food. While I never saw a bear in this area, they are not uncommon. As far as clockwise or counterclockwise, the trail can be hiked in either direction and there doesn’t seem to be any real advantage one way or another. Starting at the southern trailhead does seem to have a few advantages. The southern trailhead sees less traffic and is less likely to fill up during crowded periods. The northern trailhead also access the AT and several other trails, including the route to Old Speck, which is popular with peakbaggers, causing this trailhead to be much more crowded and potentially full. Starting at the southern end will also begin and end your trip near the low point of the loop. Despite the lower elevation, the climbing is somewhat more gradual in either direction from the southern trailhead. The best weather for hiking the Grafton Loop is between late May and mid-October. Mud and biting insects could cause problems early in the season. Snow patches can linger in shaded areas well into May during snowier years. By October, freezing temperatures can occur at the higher elevation campsites. By late October, snow isn’t unusual. Typical temperatures during the summer will be in the 70s and 80s during the day and 50s at night with humid conditions. The area averages around 40 inches of rain a year and wet weather isn’t uncommon. The temperatures start to cool in September, with less humidity and haze. The Grafton Loop Trail traverses sections of private land. As a result, camping is limited to designated sites and the Baldpate Lean-to on the AT portion of the loop. Fortunately, there are eight campsites in addition to the lean-to, so finding an appropriate spot to camp isn’t an issue. The longest stretch without a campsite is on the northern end of the loop between Baldpate Lean-to and Bull Run tent site south of Old Speck, approaching eight miles between sites. The southern end of the loop between Bald Mountain and Stewart tent sites travels just over seven miles between designated sites, so plan accordingly. Bring a shelter for use at the tent sites. The AMC describes the camping areas along the trail here. I personally recommend the Lane tent site on the eastern section of the trail. This would be a nice spot to end the day early to enjoy the brook, with waterfalls that make nice swimming holes on hot days. While rodents aren’t unusual at backcountry sites and lean-tos, particularly on the AT, I have a word of caution on the Baldpate Lean-to. While staying there on a backpacking trip of the Grafton Loop over July 4th weekend a few years back, we camped in the area by lean-to. The area was overrun with mice at night. You could here them walking and jumping through the vegetation, which is surprisingly loud and disturbing for such a small animal. When shining a headlamp outside the tent, numerous mice could often be seen. We frequently had to smack them off our tents through the night. All of the designated camping areas have a water source. According to the AMC, the brook by Stewart tent site can be unreliable. In a dry year, later in the season, plan accordingly in the event that the brook is not flowing. North of Stewart tent site the trail crosses and follows several brooks en route to East Baldpate. The AT travels near abundant water between Grafton Notch and Old Speck. On the western half of the trail, expect to use the brooks by ten tsites for water except for the southern two miles between Bald Mountain tent site and the southern trailhead where the trail follows a small brook. Whether new to backpacking or a seasoned veteran, the Grafton Loop Trail offers something for everyone. The loop features excellent scenery with challenging, yet fun terrain. After living in Maine for eight years, the hike easily ranks as one of my favorite hikes in the state. All photos are from the author with the exception of the waterfall, jay, and banner, which were taken by Josh Rosenthal. Excellent synopsis! I was wondering if u saw ticks: I heard a report of some from someone else. I did have one tick but it was only on my sock. The eastern portion of the loop travels through areas that were logged with lots of new dense vegetation that would be a good opportunity for ticks to grab onto you.